Enhance your home’s look with the Yellow Stone by Erin Ashley Painting Print on Canvas. Part of Art & Home’s stunning Canvas Art Prints collection. From Canvas On Demand a wonderful ‘Yellow Stone’ by Erin Ashley Art Print on Canvas. Yellow Stone by Erin Ashley. Vertical abstract art work of contrasting paint colors dominating the painting. This proprietary canvas provides a classic and distinctive texture, while archival UV protectant inks make it scratch and fade resistant. This lovely piece is just one of the many beautiful furniture & decor products that we have carefully selected to help you enhance your home. To realize this Art & Home has joined up with many of today’s best retailers & manufacturers of fine furniture and home decor to bring you some of the most exquisite home decor & furniture collections available on the market today. 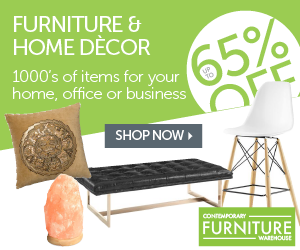 Through this and other affiliations, Art & Home is here to provide you with access to numerous remarkable home decor products and save you the time & distress of searching dozens of different retail websites. From Floor Coverings to Sofas to Unique Gifts, Art & Home specializes in presenting you with the greatest furniture & decor so that you can create the home of your dreams. As a family owned and operated company, Art & Home knows how important it is to love your home. Purchasing from our partners is quick & worry-free. Simply click on the Unlock Current Deal  button above to see the comprehensive details, current pricing, and generate a shipping estimate to your address. We hope you enjoy exploring this amazing collection as much as we enjoyed crafting it.